The New York underground was her stomping ground in the same way it had been for the Velvets and Dolls back in the day. Neo-punk as she is Gaga cut her teeth on revue style shows that incorporated electronic avante garde and elements of Freddie Mercury and Bowie into her act. She was then signed to Cherrytree Records, Inc., an Interscope, offshoot and made demos of “Boys Boys Boys”, “Christmas Tree” and “Eh, Eh (Nothing Else I Can Say)” – while she was also hired as a songwriter to pen goodies for Britney Spears, New Kids on the Block, Fergie and The Pussycat Dolls; but in reality she was going to be the next big thing, no puppet of the industry. Phenomenal is a word that’s overused but in Lady G’s case it fits like a satin glove. 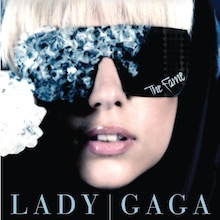 The Fame disc was accompanied by the Fame Ball Tour where the album’s inner core of songs about sexuality, personal power struggles and intoxicating party grooves took on new life and convinced everyone that Madonna had finally met a match. certainly the cuts “Paparazzi” and “Beautiful, Dirty, Rich” revealed a principled artist with plenty of nerve. 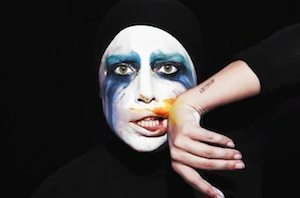 For a brand new album now enter Born This Way, some of it recorded at Abbey Road, where Gaga acts as co-producer and enlists guitarist Brian May from Queen and the late Clarence Clemons from the E Street Band on saxophone. Fittingly, and spookily, the title track as a single became the 1000th number one on the Billboard chart since its inception in 1958. Lady Gaga describes this disc as like a producing a baby between Bruce Springsteen and Whitney Houston! A rock and R&B hybrid in other words with heavy does of electronica and Euro disco beats, four to the floor thumping house beats, church bells, New York City street noise, heavy metal, Germanic chanting and ear-worm songs. Another beast of a disc for sure. Everything is a strand-out here but we’re currently obsessing over “Americano” (in Spanish) with its mariachi meets techno rhythm and the mesmerising trance like “Bloody Mary”. The Lady never holds back and that’s why her legions of fans – the Little Monsters – adore her. She puts it all out there. Born This Way: The Collection is Gaga’s third compilation: a three-disc box set with a DVD culled from the Madison Square Garden leg of the Monster Ball tour. Check out the cover too, where she’s wearing a dress made out of, er, slime, a Perspex hat and Alexander McQueen heels. As usual she is larger than life and defining the future. 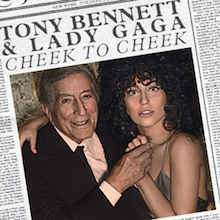 If the third act was a spellbinder, then Cheek To Cheek convinced a whole new crowd that it’s worth discovering this remarkable woman. Working with the immortal Tony Bennett, the pair added an American Italian tang to the songbook of George Gershwin, Cole Porter, Jerome Kern, Irving Berlin and Jimmy Van Heusen. There are also glorious excerpts from the Duke Ellington/Billy Strayhorn school – notably “Lush Life”, “Sophisticated Lady” and “It Don’t Mean a Thing (If It Ain’t Got That Swing)”. An accompanying tour and concert special nailed the deal and helped Gaga win the Grammy Award for Best Traditional Pop Album. Obviously, it went straight to No.1. Gaga sang a medley of songs from The Sound Of Music in her best English accent at the Grammy ceremony and also took part in the 2016 David Bowie tribute. She has also launched the fragrance Eau De Gaga and a clothing range alongside Elton John which supports their various charities. In autumn 2016 she released Joanne, a deeply personal family album with stripped-back arrangements, topping the charts again thanks to a mingling of old-school pop values and a super smart production from the artist, alongside Mark Ronson, Jeff Bhasker, Josh Homme and others. Florence Welch guests on “Hey Girl” and Sean Lennon plays slide on “Sinner’s Prayer”, with BloodPop providing cool keys and synths. Look for the deluxe version with bonus material. Seems like there isn’t much that Lady Gaga won’t attempt – and pull off – and having an artist of that calibre around enriches the scene immeasurably. She’s possibly the most with-it superstar of the century thus far. It’s impossible to imagine pop life without her and what did we do before she came along? Mind boggling Lady Gaga.